I hope everyone is having a fabulous 2016 so far! We’re almost going into February and with how fast January has come and is going (just two more days! ), is proof that THE DAY will be here in no time. So I haven’t found THE dress, and I haven’t found THE shoes. Correction. I haven’t found the dress because I haven’t found THE shoes. (Well, I did, like five months ago, but Nordstrom, ended up “not having it in-stock” as they advertised on their website, so I placed an order only to have it cancelled, but that’s a story for another day.) Thank you, Nordstrom for breaking my heart and providing the ultimate customer disservice. I still love you though, I know I will find something better. I know what you’re thinking. Why shoes first, silly? Shouldn’t it be the dress? For those who absolutely know me, you understand how important shoes are to me. Wonderful shoes take you to wonderful places. Shoes carry the wearer, and you deserve the most beautiful pair to reflect the most exquisite person you are and the magnificent adventure heading your way. So once I find the shoe that fits, then I’ll say seriously shop for the dress. I wanted to share some of the most alluring bridal shoes I came across, they are all so breathtaking in their own ways. Aren’t they all sooooo astonishing? Which is your favorite? Two weeks ago, on Juy 23rd, Brons asked me the most important question I have been asked in my whole life. My answer was YES. Absolutely, undoubtedly yes. There was no reason not to. He is my everything, and being together for over nine years prove just that. So yes, we are getting married. Yes, we are going to start a family. And yes, we are looking at growing old and wrinkly together….. In exactly ONE YEAR, we will be saying our vows. Here’s a toast to August 7th, 2016, the beginning of our forever…. 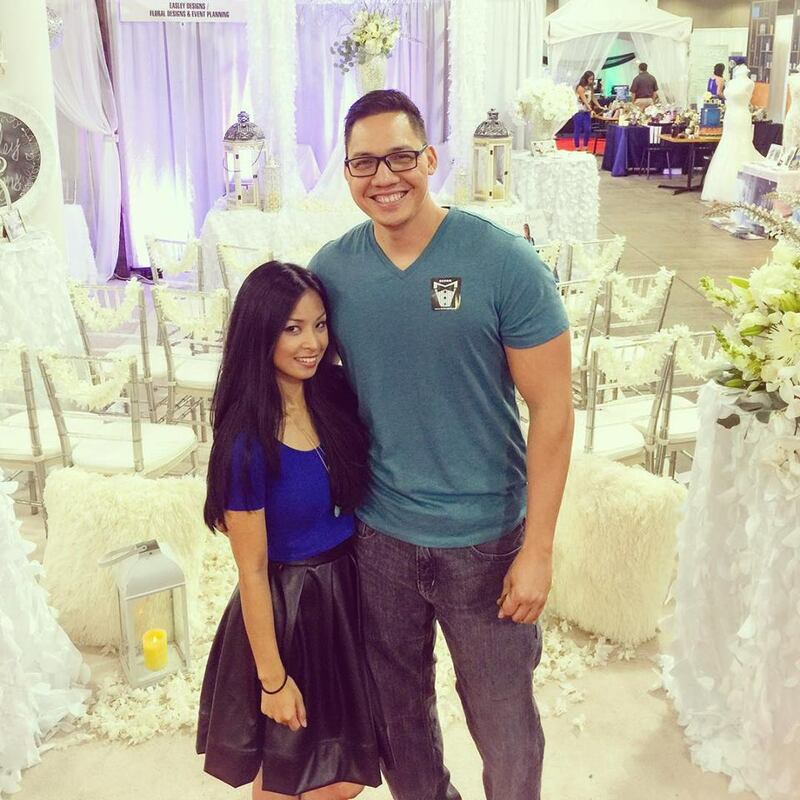 This photo was taken at this year’s Hawaii Bridal Expo at the Blaisdell Center the night after we got engaged. Here’s to eternity of hugs and kisses, random inside jokes, unforgettable moments with amazing friends, lazy Fridays and date nights. You are my dashing prince who swept me off my feet and just like Superman took me up, up and away in this crazy beautiful world. I love you today, tomorrow and forevermore. Happy 5th Birthday, Fashion With A Mission! Let’s celebrate this milestone by sharing a little bit of love, hope and luck! 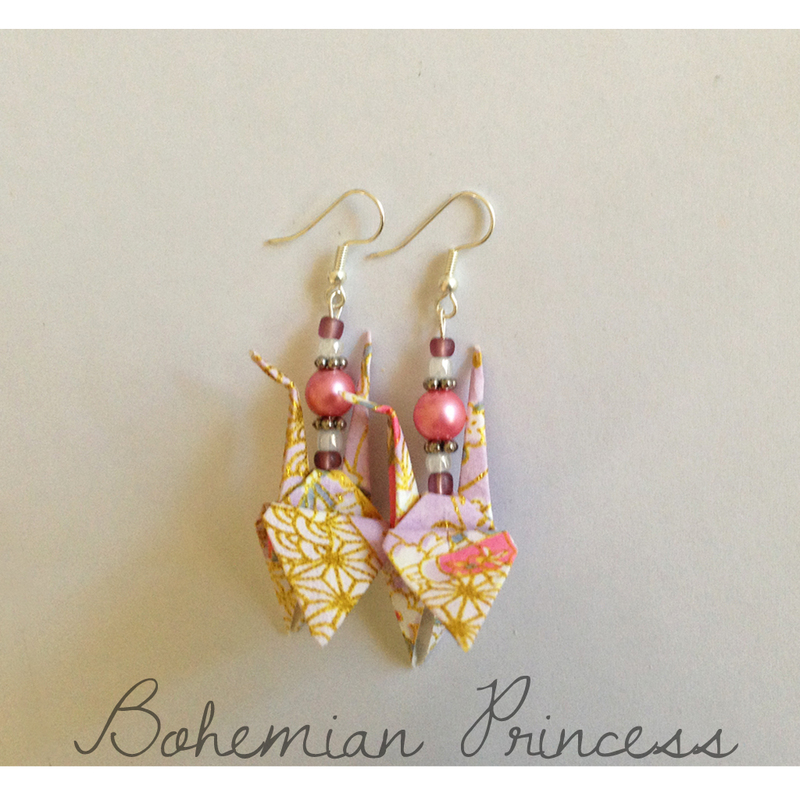 FWM is partnering with Bohemian Princess in spreading goodness (and of course loveliness), through a pair of beautiful paper crane earrings. Each crane is created from high-quality origami yuzen paper. Various beads, gemstones and pearls are incorporated into the paper crane to create unique earrings- none of the designs are the same. Tsuru, or paper crane is a symbol of hope, peace, happiness, loyalty, good health and yes, good luck. Legend has it is you make fold 1000 paper cranes, and you get to make a wish. For the month of April 2015, as part of Fashion With A Mission’s 5th year anniversary, 500 paper cranes are available at absolutely no price (FREE). Just pay for shipping, flat rate of $3. 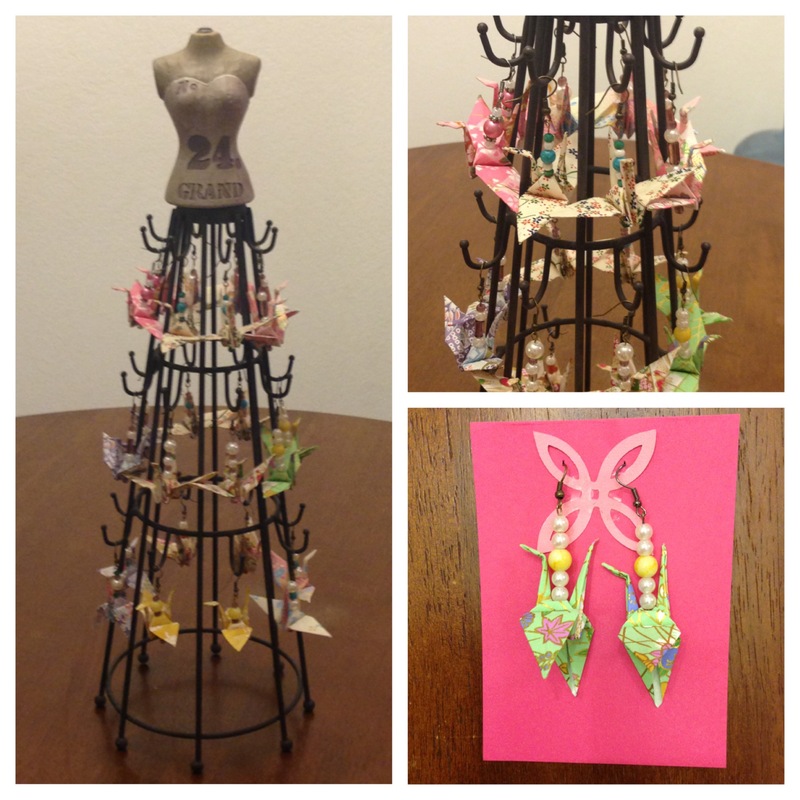 Bohemian Princess and Fashion With A Mission wants to share hope and peace that the paper cranes represent. 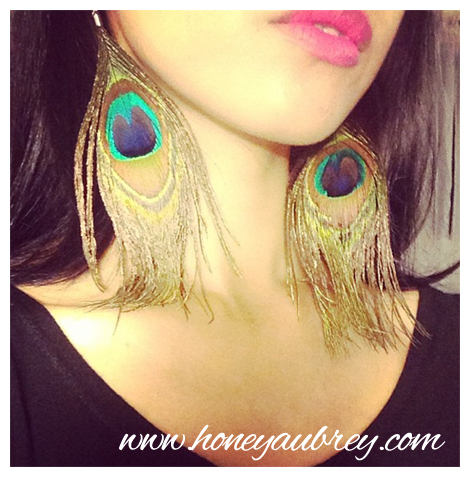 Visit www.bohemianprincessfashion.com and use code FWM2015 at Checkout. 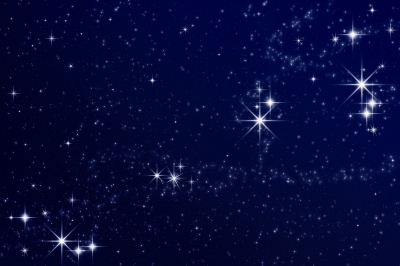 Inspired by Perry Como’s Catch a Falling Star, here is my version, a short love note dedicated to my shining star…. and never let him go…. These past three weeks of my free time I had spent creating beautiful accessories with special meaning and symbolism. 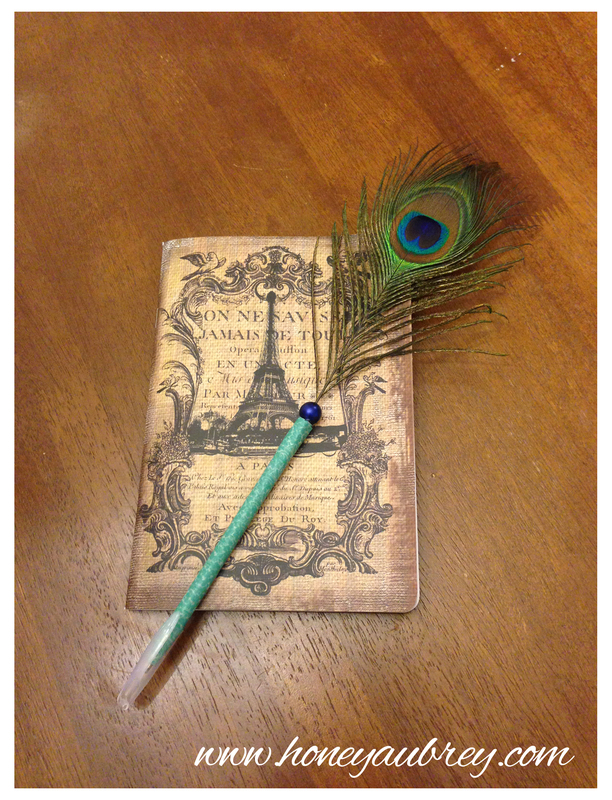 Inspired by my lucky peacock decor that hangs in my living room, I wanted to share the goodness I feel when I see it…The vibrant hues lifts up any spirit, and encourage a promising tomorrow. 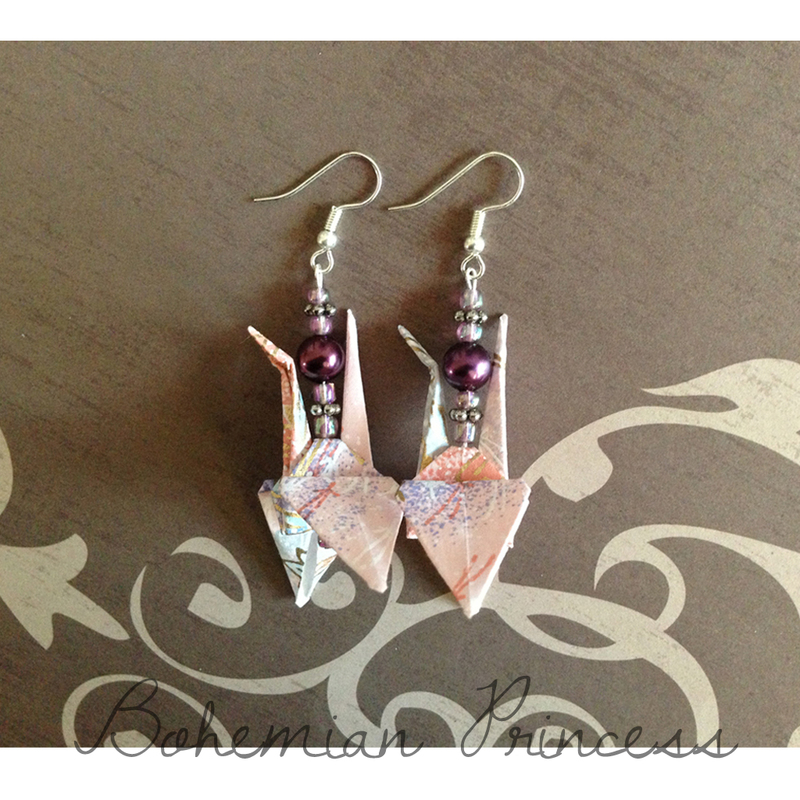 I have also learned to fashion paper crane earrings created from high-quality origami yuzen paper. Various beads, gemstones and pearls are incorporated into the paper crane to create unique earrings- none of the designs are the same. 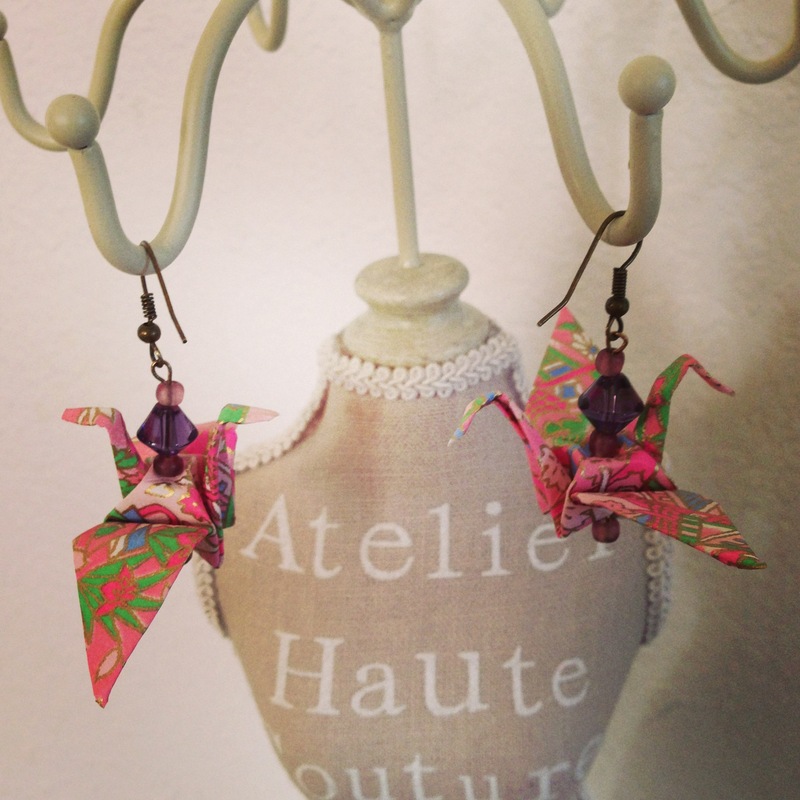 My wish in this lifetime, is to sell one thousand paper crane earrings.